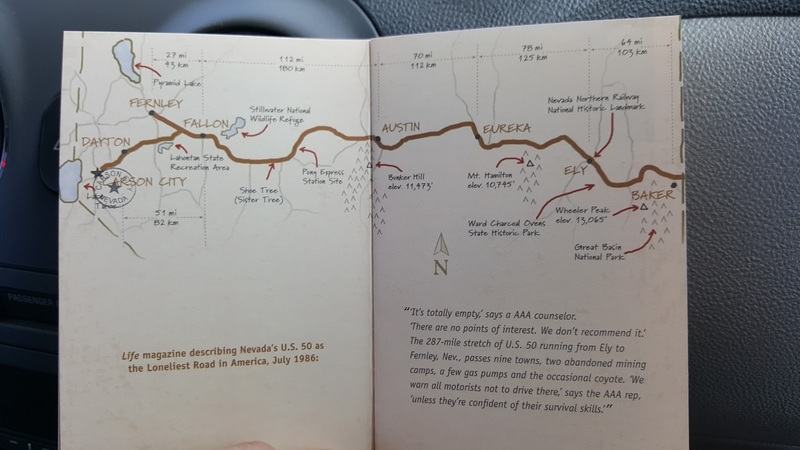 U.S. Route 50 through Nevada is dubbed ‘The Loneliest Road in America’ based on a July 1986 Life magazine article. Highway 50 stretches from coast to coast, but the section that crosses the state of Nevada is considered “The Loneliest Road in America”. It’s a 5-6 hours straight drive across Nevada. We suggest you to slow down, sleep in different towns and take photos to share with your friends and families. 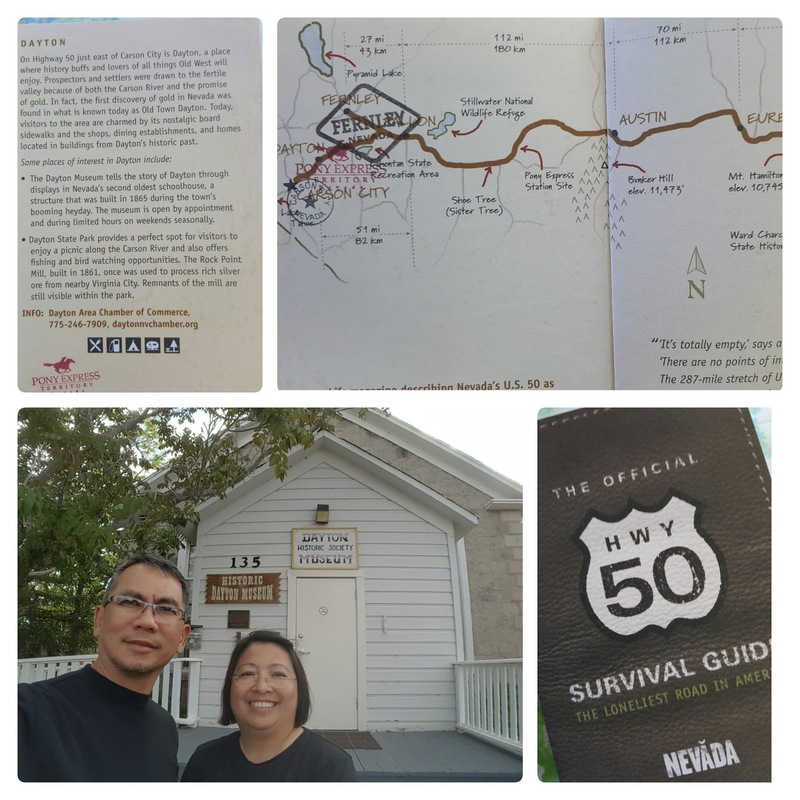 Highway 50 was once formed the route of the Pony Express, and all history and land marks make for a great road trip on this loneliest road. There are 8 towns along the 387mile route starting in Carson City on the main Route 50 Highway. 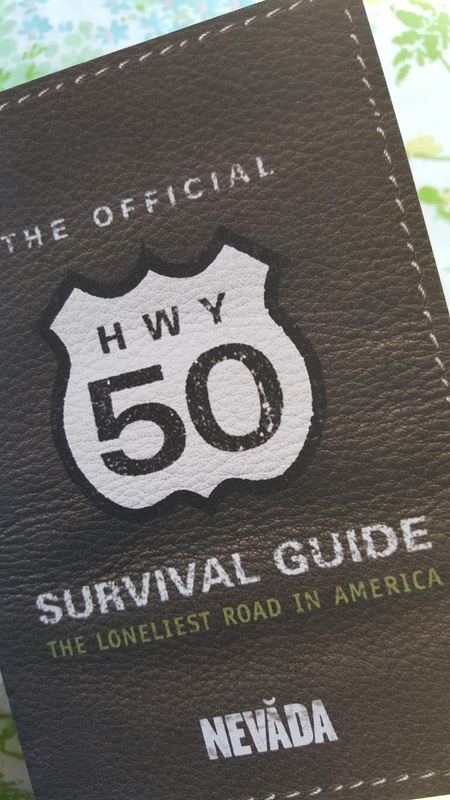 Highway 50 is rich in diverse experiences and unexpected adventures that are waiting to be discovered by travelers. My husband and I planned to challenge this Highway a year ago. Driving from California out across this famous stretch of highway, with our cameras on hand, to discover/rediscover why this road is so (in)famous. 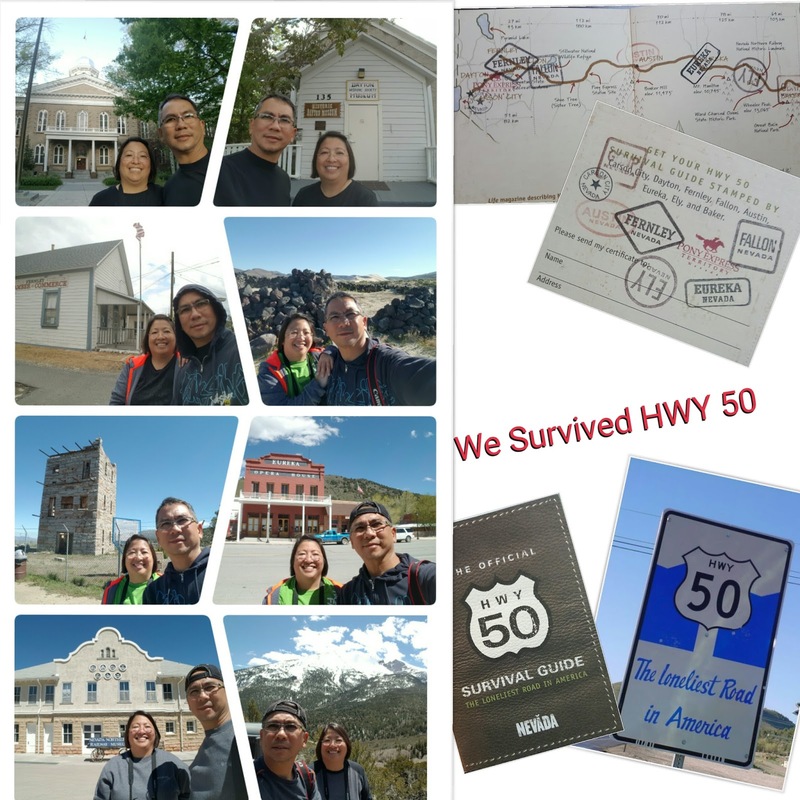 Some people drove straight from start to end in one day, but we took our time, checked out all the towns along the way, took photos and videos and admired the views. 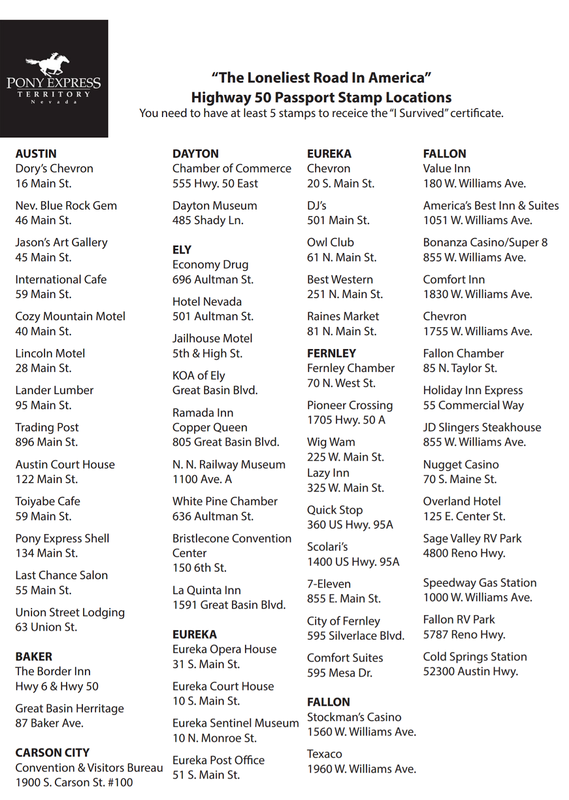 At the start or the end of your trip, Carson City has countless hotels, shopping, dining, and sightseeing activities. And while the city has all the modern amenities a state capital could hope for, its roots are evident nearly everywhere you look, most prominently in its picturesque downtown corridor. 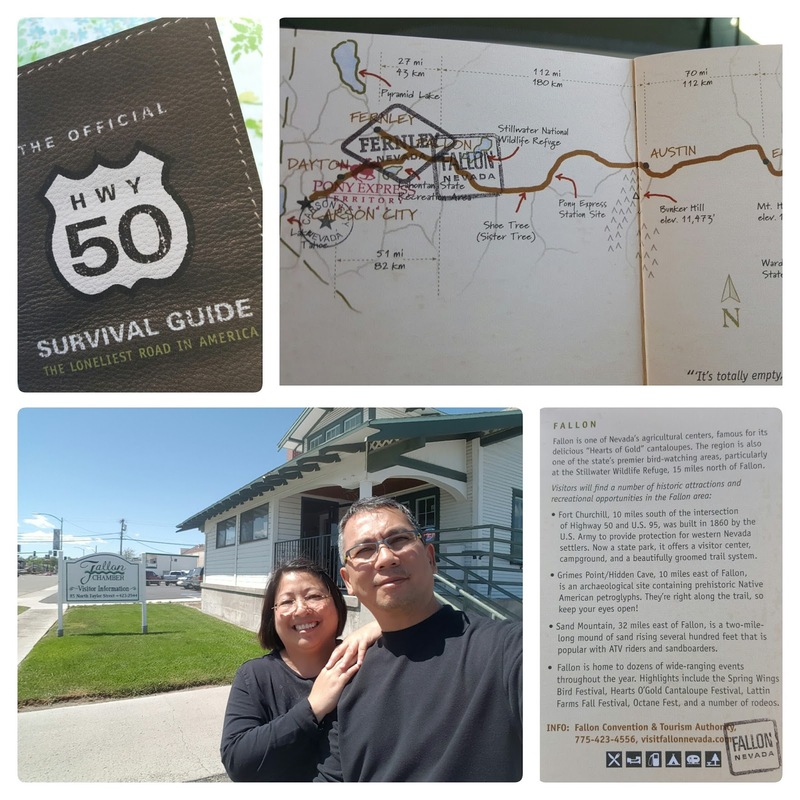 On Highway 50 just east of Carson City is Dayton, a place where history buffs and lovers of all things Old West will enjoy. Prospectors and settlers were drawn to the fertile valley because of both the Carson River and the promise of gold. In fact, the first discovery of gold in Nevada was found in what is known today as Old Town Dayton. Today, visitors to the area are charmed by its nostalgic board sidewalks and the shops, dining establishments, and homes located in buildings from Dayton’s historic past. Grimes Point/Hidden Cave, 10 miles east of Fallon, is an archaeological site containing prehistoric Native American petroglyphs. They’re right along the trail, so keep your eyes open. Sand Mountain, 32 miles east of Fallon, is a two-milelong mound of sand rising several hundred feet that is popular with ATV riders and sandboarders. Austin’s churches include St. George’s Episcopal Church, consecrated in 1878 and still in use; the former St. Augustine’s Catholic Church, erected in 1866; and the former Methodist Church, also built in 1866. Stokes Castle, located at the western edge of town, is an unusual, three-story rock tower (now abandoned) built in 1897 by a member of the family that owned many of the town’s mines. Gridley Store was constructed in 1863 by merchant Reuel Gridley, who is best remembered for losing an election bet and carrying a sack of flour through town. He auctioned the sack numerous times to raise money for the Sanitary Fund, forerunner of the Red Cross, eventually raising thousands of dollars. Historic Pony Express and Overland Stagecoach sites are located along Highway 50 between Austin and Fallon. Sites can be found at Cold Springs, Middlegate, and Sand Springs. Eureka Opera House, built in 1879, is a picturesque brick structure that has been fully restored and now serves as a convention center and gallery. 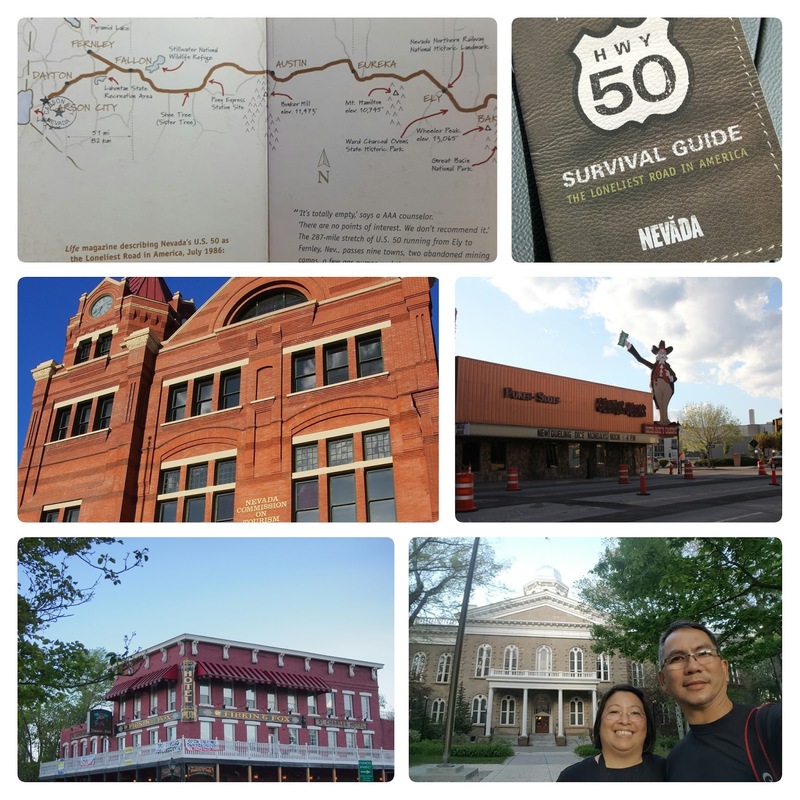 • Eureka Courthouse, which opened in 1879, has been restored and is still the county courthouse. Eureka Sentinel Museum houses a collection of local and regional historic displays and artifacts in the former Eureka Sentinel newspaper offi ces, built in 1879. Eureka’s cemeteries, located southeast of the town, include more than a half-dozen burial grounds representing various social organizations, religious, and ethnic groups. 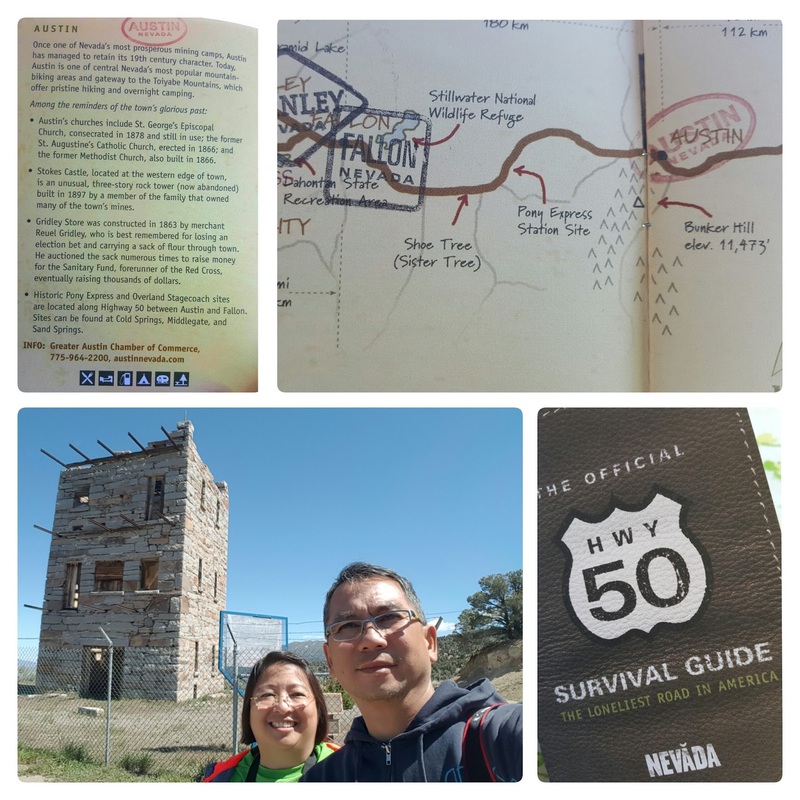 This historic mining and railroad community has evolved into one of eastern Nevada’s recreational hubs. Within miles of this full-service community, you’ll fi nd Cave Lake State Park, a popular spot for fishing, hiking, camping, and mountain biking, as well as the Schell Creek Range, noted for its hunting. 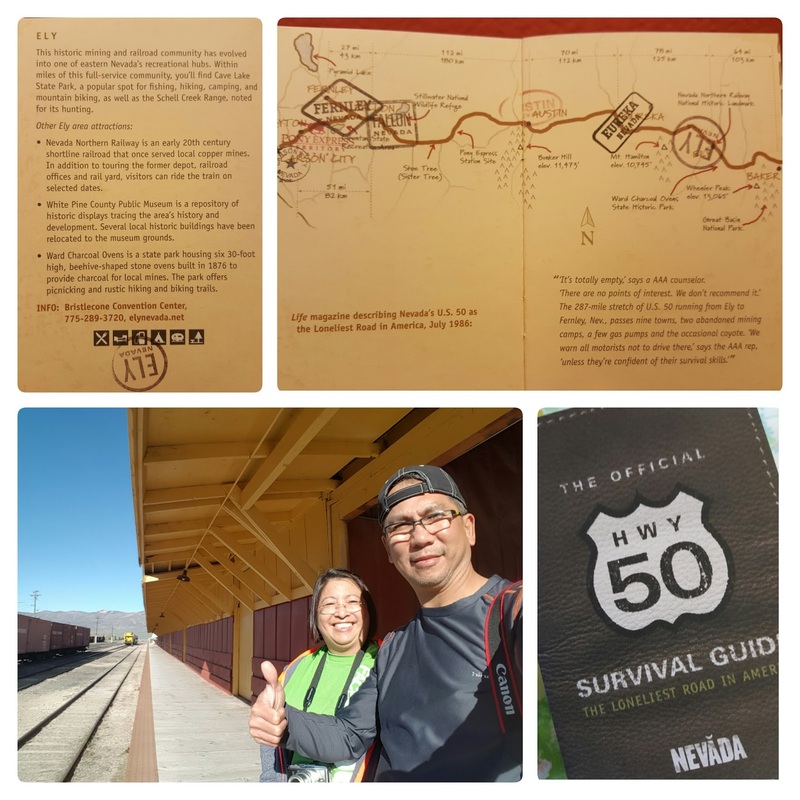 Other Ely area attractions is the Nevada Northern Railway is an early 20th century shortline railroad that once served local copper mines. In addition to touring the former depot, railroad offi ces and rail yard, visitors can ride the train on selected dates. At the eastern end of Highway 50 in Nevada is the tiny hamlet of Baker, offering limited services and accommodations. 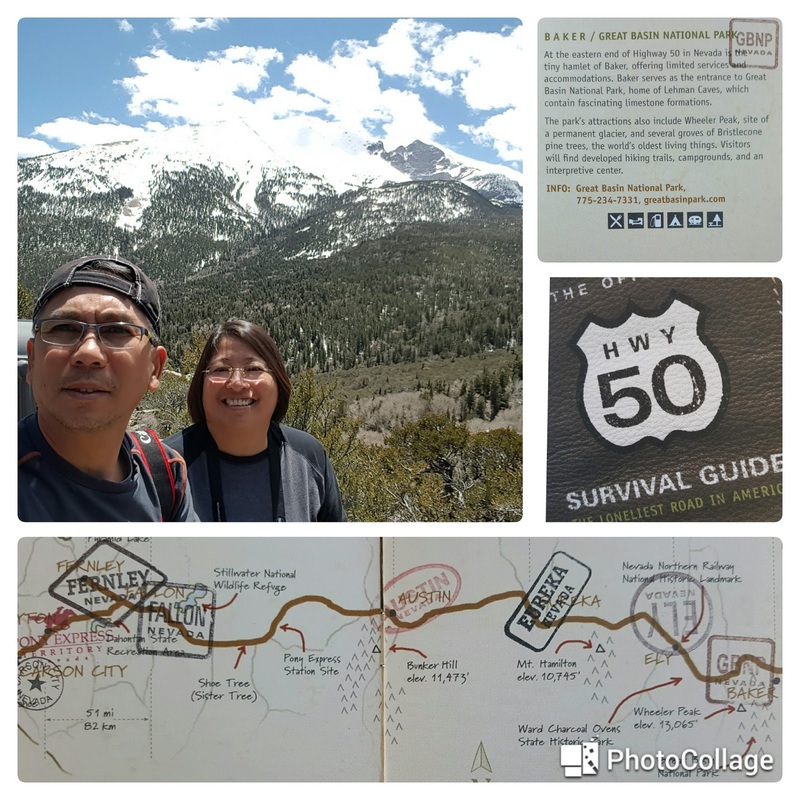 Baker serves as the entrance to Great Basin National Park, home of Lehman Caves, which contain fascinating limestone formations. The park’s attractions also include Wheeler Peak, site of a permanent glacier, and several groves of Bristlecone pine trees, the world’s oldest living things. Visitors will find developed hiking trails, campgrounds, and an interpretive center. 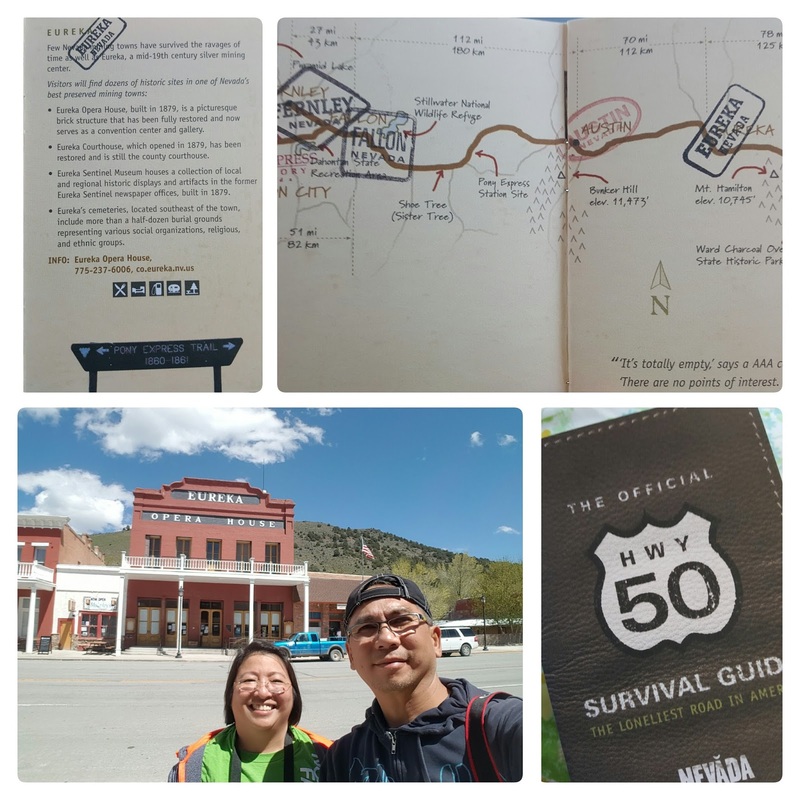 Driving along Highway 50 is not a really the Loneliest Highway, but we described it as one of the Interesting and Amazing Highway of America, because of the Pony Express history, scenic highway and historical towns. 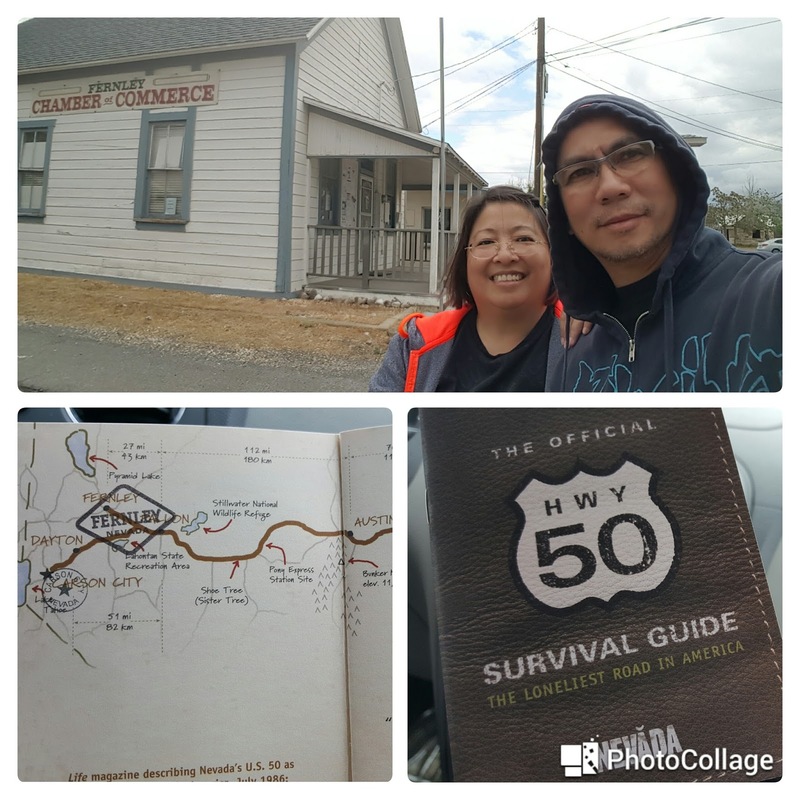 Dare to drive Highway 50? Go and try if you can survive.